That famous slogan is attached in fine print to most advertising claims of fuel economy, and indeed it’s true. This has long been accepted, as driving styles vary greatly, and that in turn can make fuel economy vary greatly. Recently, this issue has come up in court. A Honda Civic Hybrid owner claimed that her car never achieved the 50 mpg the company advertised in 2006 when she bought it, and it has recently gotten worse. At least part of the blame was placed on a reprogramming of the car’s computer that, the owner says, doesn’t allow the battery to ever get fully charged. While I’m not familiar with ads run by Honda at the time, I did look back in our 2006 information and found that the EPA rated the Honda Civic Hybrid at 49 city/51 highway. So it appears that Honda was simply quoting those numbers. Granted, few people ever achieved the EPA figures back then, mostly because few drove their cars as conservatively as the EPA did during testing. Which is why, for the 2008 model year, the government agency changed its testing procedures to more accurately reflect the results of real-world driving. Furthermore, they have re-rated cars made prior to that year with lower numbers that are supposed to more accurately align with current-day testing. If you look at the EPA site today, the 2006 Honda Civic Hybrid is rated at 40 city/45 highway—quite a drop from its original 49/51. And that’s about par for the course. It used to be that Consumer Guide was almost never able to duplicate EPA figures, but since 2008, that has changed. Just recently, I managed to (very slightly) beat the EPA highway estimate with our long-term Honda Civic on a 652-mile round trip to St. Louis, despite only 90 percent of the miles actually being on the highway. Furthermore, I drove with the flow of traffic, which was going . . . uh . . . somewhat in excess of the speed limit. Overall, we’re averaging 33 mpg on that car, which seems to agree with the EPA’s 28 city/39 highway rating. Yet other cars don’t seem to live up to their fuel-economy billing. 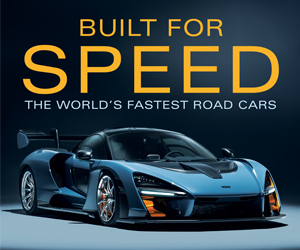 It’s possible that the manufacturers set up the gear ratios and engine tuning to achieve maximum mileage within the specific rules of the EPA tests, and those may not translate well into real-world driving. That goes for the new crop of electric-powered cars as well. Our long-term Mitsubishi i is rated by the EPA to have a 62-mile range, but that’s probably not going to happen whenever the air conditioning or heater is in use, as both draw electric power from the same battery that feeds the drive motor. However, I managed 67 miles before the charge meter showed the battery to be nearly dead, though that was with neither the heat nor air running. A friend’s Chevrolet Volt also managed somewhat better than the EPA’s electric-only range estimate. (See The Times They Are a-Changin.) Shortly after he bought it, Scott let me drive his car to a distant hardware store to pick up a few things. (Among them were chocolate-covered Peeps for his wife—which, oddly, she couldn’t find anywhere other than at this hardware store.) Estimating the trip at about 20 miles each way, I wanted to see if I could make it there and back without having the gas engine kick on. Since the EPA’s electric-only range estimate is 35 miles, I figured it would be a challenge. Not only did I make what indeed turned out to be a 40-mile round trip solely on battery power, but the car’s computer said I still had three miles’ worth of charge remaining when I pulled into Scott’s garage. Granted, I took it easy, but it’s possible that the heater was on for a bit, as it was only about 60 degrees outside. 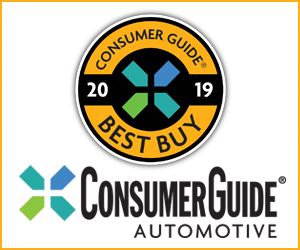 Keeping close tabs on fuel economy and electric-only range is only part of our routine testing procedure here at Consumer Guide Automotive, but we consider it an important part. That’s especially true during this era of $4-a-gallon gas, when fuel economy plays a bigger role in buying decisions. 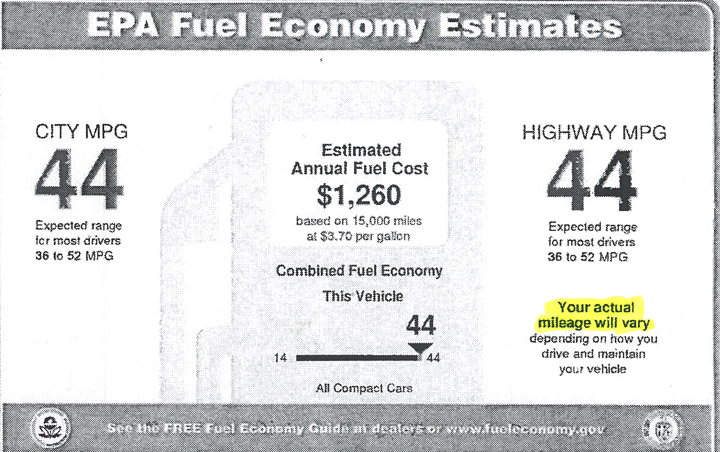 So while indeed “your mileage may vary,” it probably won’t vary that much from ours. Written by: Rick Cotta on April 30, 2012.on June 12, 2017.